All supplies and instruction will be provided. Session will run for 90 minutes. Limited tickets available. $75 per person payable upon registration via PayPal. Please note that if you pause during registration and the PayPal system times you out, registration isn’t complete. Registration is only complete once PayPal sends you a payment confirmation email and our workshop system sends you a registration confirmation email. For any questions, please email events@barrelsandbranches.com. — Workshop fee is non-refundable 24 hours prior to workshop. Rachael Cohen is the creator and owner of Infinite Succulent, a botanical styling, art and educational service dedicated to reconnecting people with the infinite power of Nature, and ultimately themselves. Rachael’s life mission is to reconnect and engage others with the natural world. 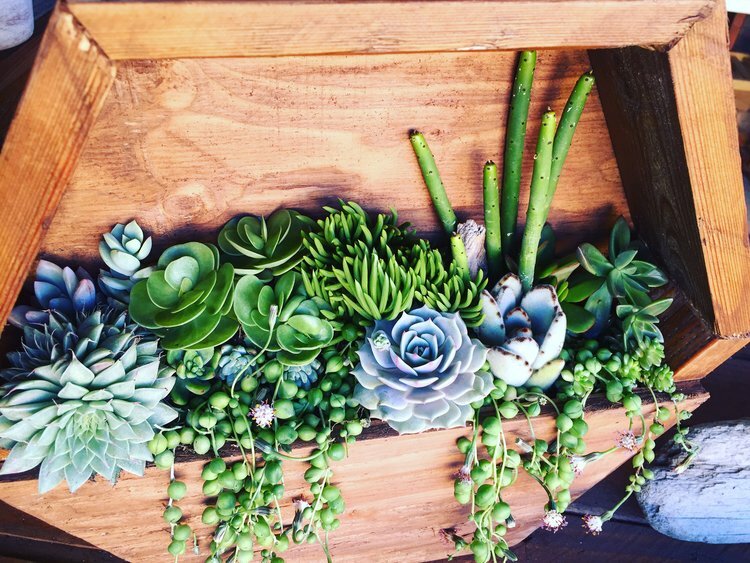 With Infinite Succulent, she achieves this mission through botanical décor styling, art pieces and writings along with educational workshops and presentations, all of which touch upon environmental stewardship. Rachael is also the author of the succulent craft book, Infinite Succulent: Living Art to Keep or Share (Countryman Press, 2019).